The aestheticization of urban spaces that occurred in the nineties represents a sea change. The very notion of a lifestyle… is an aesthetic concept and testifies to the transformation of urban life itself. The nineties delivered entertainment as a culture mall in those zones that begin with a few art galleries and quickly morph into upscale, high-end real estate spaces, fashion boutiques, espresso bars, and slick restaurants. 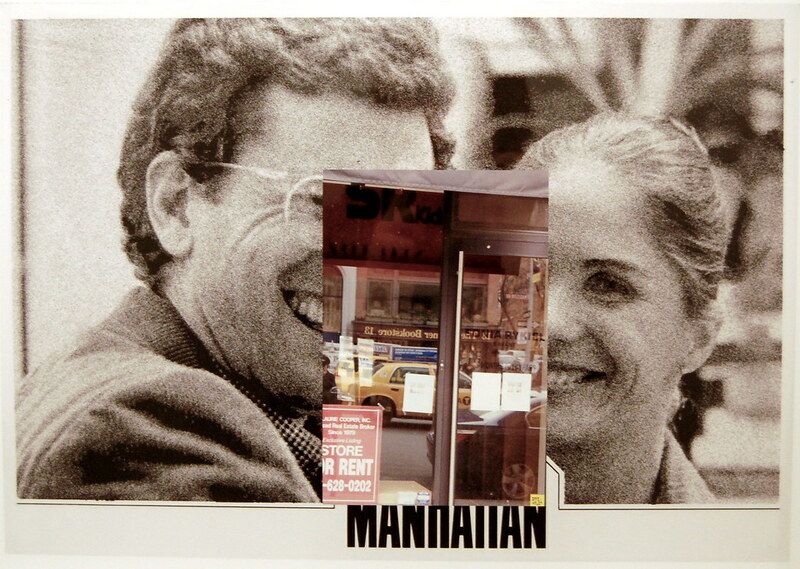 He’s writing in 1979, on the edge of the decade that would see New York’s professionals begin to embrace Morris’s consumption-based lifestyles en mass for the first time, in neighborhoods of unprecedented wealth and unbridled gentrification, which Morris bluntly declares “cultural ghettoes a step above the theme park.” Allen, playing a disillusioned TV writer meets a young Diane Keaton and then encounters her again at a political fundraiser at the Museum of Modern Art. They spend the night talking in a quiet, tranquil park along the East River. Okiishi's photographs of Manhattan island hover next to others that show Ku'damm Karree, an office and shopping center in Berlin, that fabled land of low rents, countless galleries, and an unrivalled art scene. 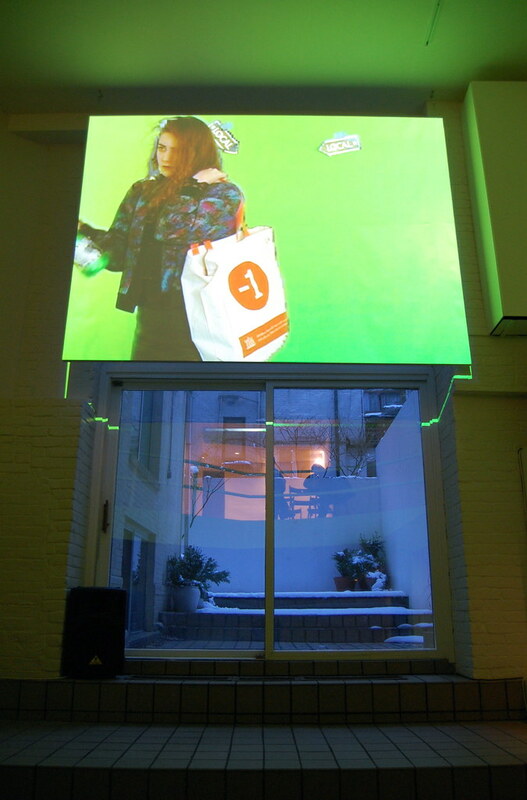 As Karen Rosenberg puts it in her review of Okiishi’s show in the Times, “A few years ago it seemed as though the entire New York art world might move to Berlin.” Okiishi, though, seems to be equating the two cities, highlighting the idealized allure that each holds for residents of the other. A film playing in the gallery’s main room cuts back and forth between footage from present-day Berlin and Manhattan, a jump between a humbled present and a trilling, albeit naïve, past. “Thirty-five years ago one could be comfortable and marginal in New York, survive on a part-time job, and have plenty of leisure for intellectual or aesthetic pursuits,” Morris writes. (Allen quits his job to write a book, and though he worries endlessly, it is clear he will survive the experiment intact.) “Today there is no margin in big-city life.” There was a notion for a while that that margin may exist in Berlin, and there is now a sense in the air that it could return to New York again. One hopes that Okiishi’s auspicious debut at what appears to be an ambitious new gallery on the Upper East Side is a first hint of that. 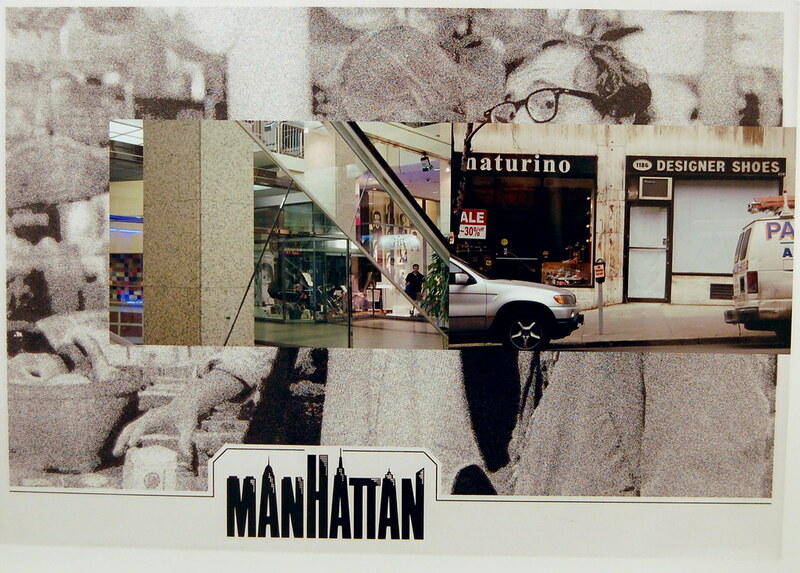 Ken Okiishi, (Goodbye to) Manhattan lobby card (Sonia Rykiel Enfant), 2010. Framed inkjet print, 17 1⁄2 x 12 1⁄2 inches, edition of 5. 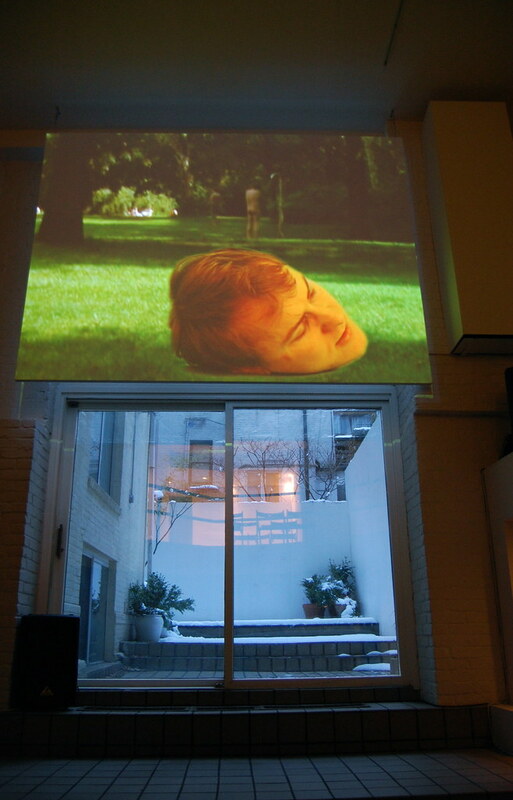 Ken Okiishi, (Goodbye to) Manhattan [still], 2010. DVD, color/sound, 72 min., edition of 5. 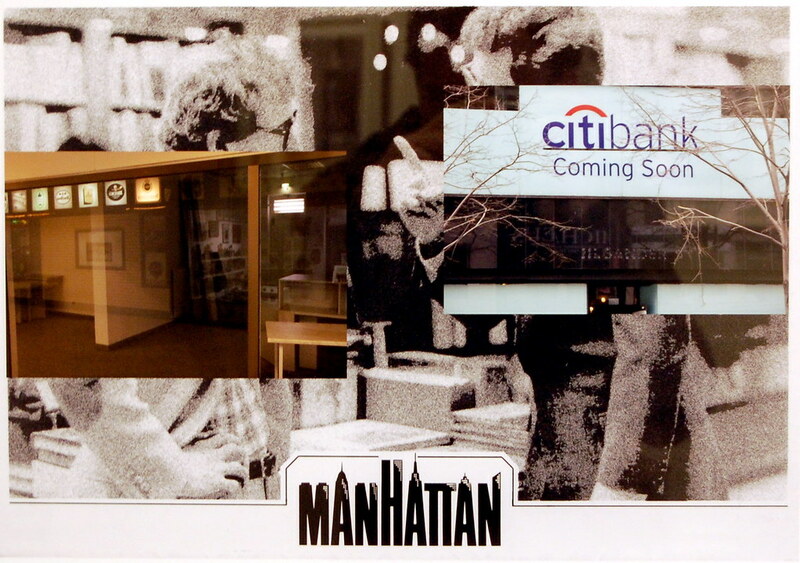 Ken Okiishi, (Goodbye to) Manhattan lobby card (Ku'damm Karree / Jil Sander Coming Soon Citibank), 2010. Framed inkjet print, 17 1⁄2 x 12 1⁄2 inches, edition of 5. 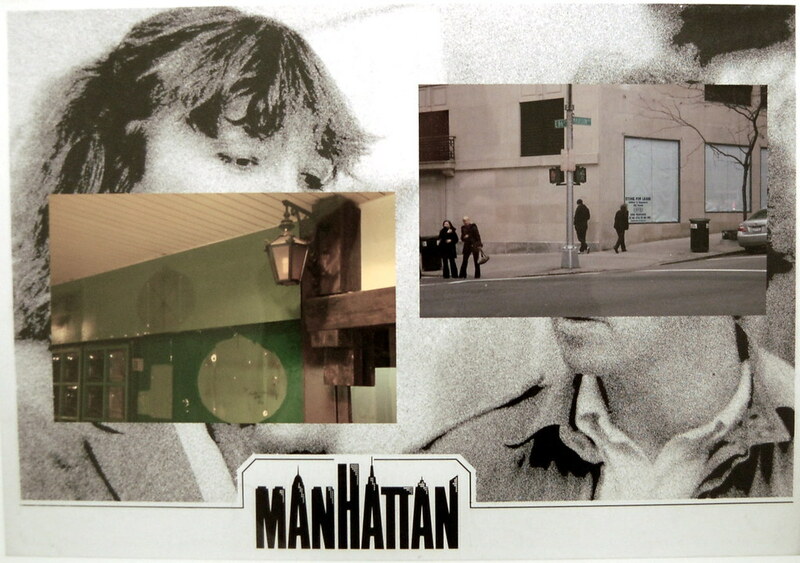 Ken Okiishi, (Goodbye to) Manhattan lobby card (Ku'damm Karree / 86th and Madison), 2010. Framed inkjet print, 17 1⁄2 x 12 1⁄2 inches, edition of 5. Ken Okiishi, "(Goodbye to) Manhattan"